REDMOND, Wash.--(BUSINESS WIRE)--Don’t miss out on being a part of a Nintendo first! On March 31, Miitomo, the company’s first-ever smart device application, is launching in the United States and several other countries. 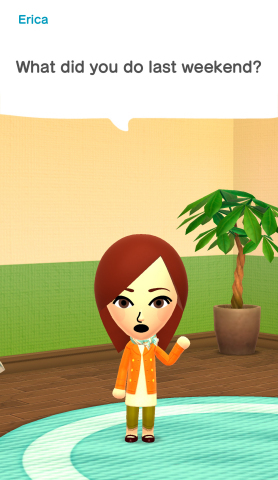 Miitomo is a free-to-start social experience that lets users spark one-of-a-kind conversations with friends in a whole new way using Mii characters. The app recently launched in Japan and was downloaded more than 1 million times in its first three days of availability, while achieving the #1 most downloaded free app status in both the App Store and Google Play storefronts. 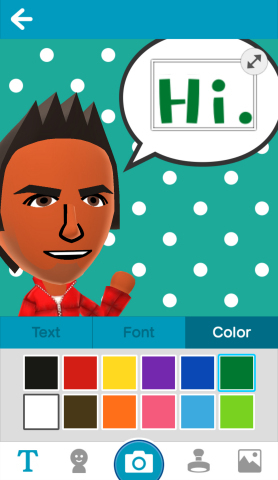 Getting started with Miitomo and being a part of this Nintendo milestone is easy: After downloading the application for free on the App Store for iPhone, iPod Touch or iPad, along with Android devices, users create a Mii character and customize facial features like eyes and hair, as well as voice and personality. Users can also use the camera on their smart devices to snap a photo of themselves, which can be used to create a Mii, or they can simply import their Mii from their Wii U or Nintendo 3DS systems using a QR Code.